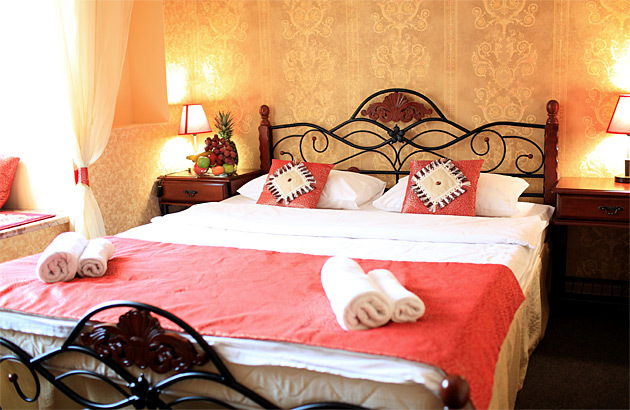 Double Standard room with one bed. 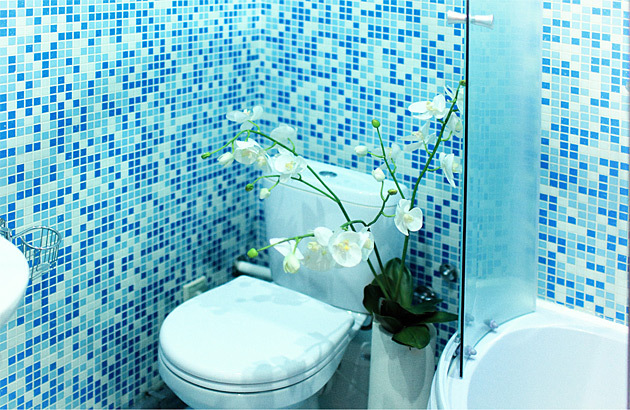 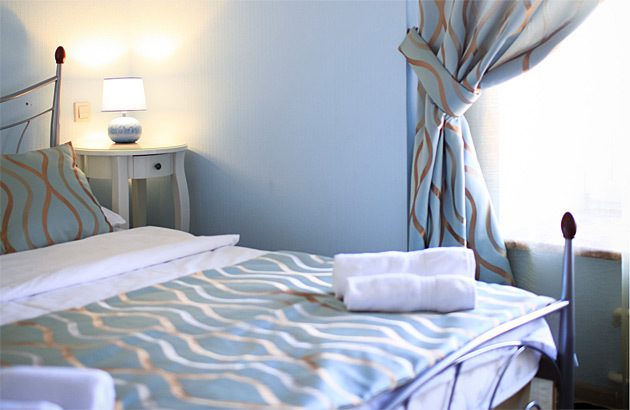 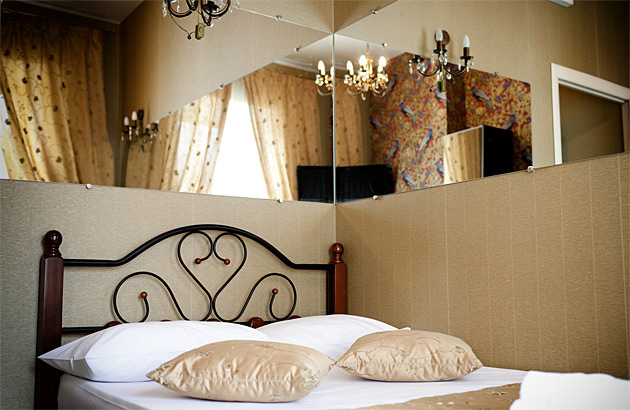 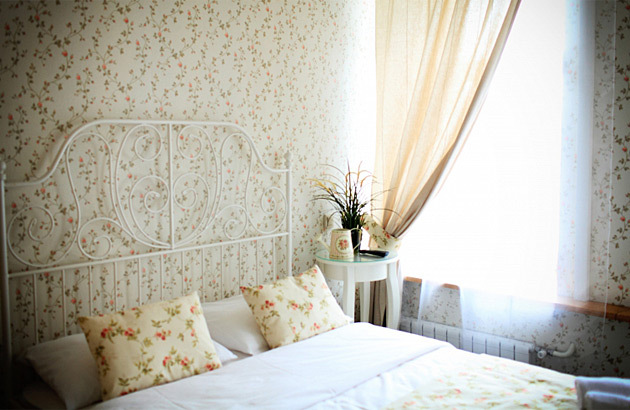 Hotel "Kitay-Gorod"
These are the comfortable, cozy, thematic rooms with one double bed and a bathroom. 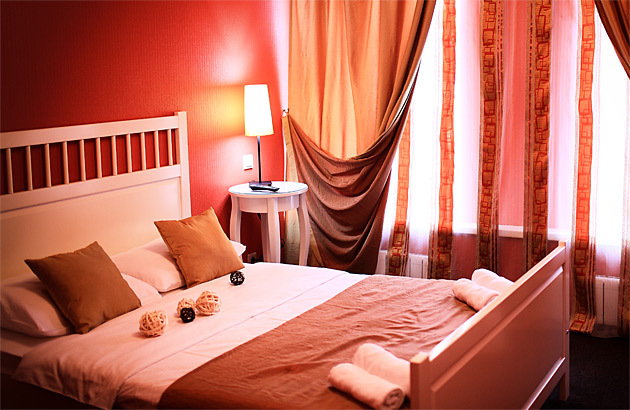 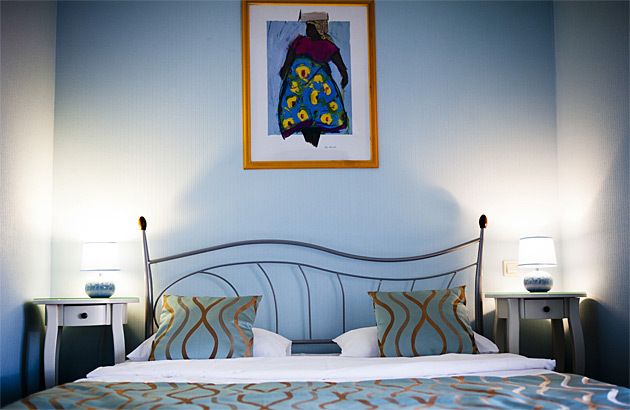 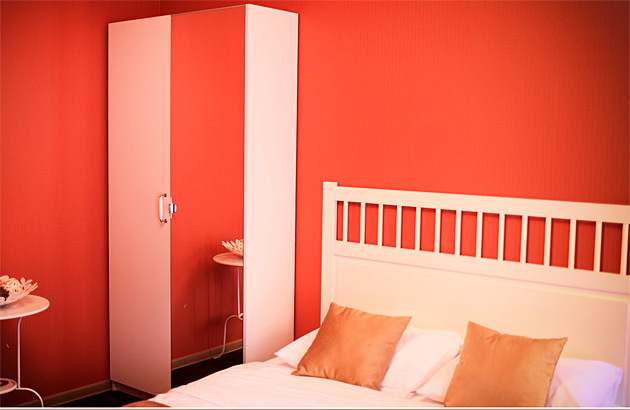 The rooms are decorated in different colours. 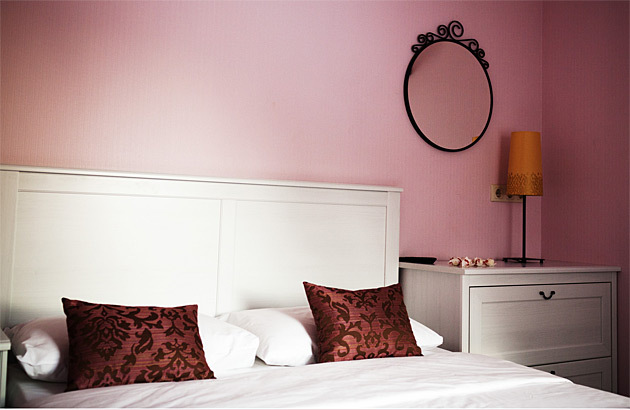 Subdued pastel colours bring the peace and calm, and bright colours awake imagination. 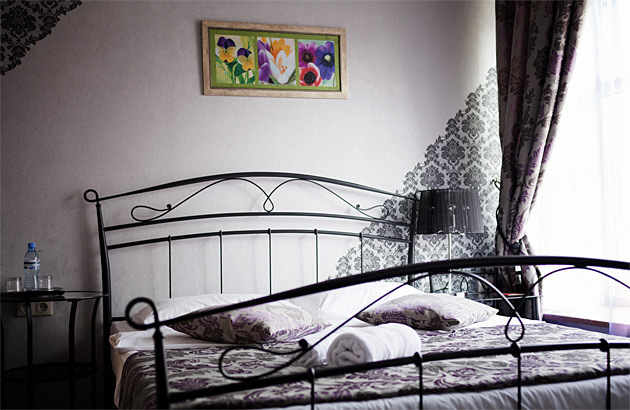 All the rooms are on the second floor facing Lubyanskii proezd, Staraya square and picturesque Ilyinskii park, or a Moscow yard. 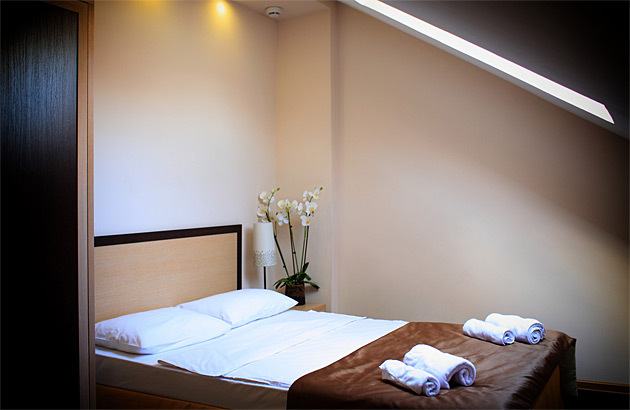 - in some rooms an extra bed is available. 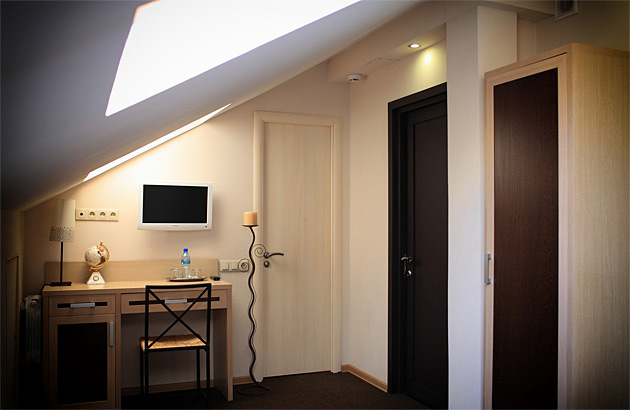 - a hairdryer (ask your front-desk clerk). 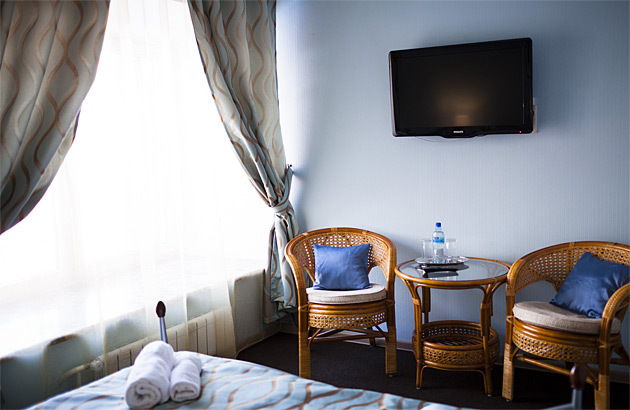 Toiletries, slippers, towels, Wi-Fi, a bottle of water, buffet breakfast are included.